With 2 months to go until the Fringe announces their full line-up of shows, theSpaceUK is delighted to announce 131 already on sale. Breath-taking new-writing from companies old and new – discover something special with theSpaceUK at this year’s Fringe. Here’s as smattering of highlights to whet your appetite. 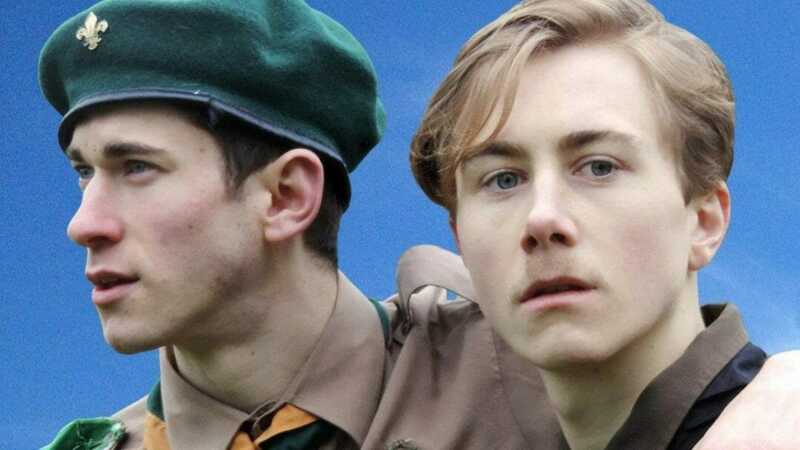 Winner of the 2018 Broadway Baby Bobby Award, Glenn Chandler is back in 2019 with new work, The Good Scout, inspired by true events in 1920 when British boy scouts played host to cycling parties of Hitler Youth. Sony award winning TV and Radio Presenter, Jeremy Nicholas, give top tips on public speaking with a show packed with hilarious anecdotes from life as an international speaker in Jeremy Nicholas: What Are You Talking About? 10:31, MCR from Millennials and Other Terrible Things reflects on the impact the Manchester Arena attack, presenting a new verbatim play mixing voices and stories from different ages, backgrounds, beliefs and times. Set in the 18th Century, Brandy from Creative Curve Theatre Company tells of Queen Anne laying dying, fortifying herself with brandy as she prepares herself for a final meeting with childhood friend, confidante and adversary, Sarah Churchill, The Duchess of Marlborough. Kings of music at the Fringe, Night Owl Shows premiere’s 3 brand new shows, Back to Black: The Music of Amy Winehouse, The Tina Turner Story and The Carpenters Story, alongside 7 other previous sell-out smash hit music biography shows. Fresh from a national tour and sell-out shows in 2016 and 2017, Phil McIntyre Entertainments/Tom Taylor present the critically acclaimed one-man murder mystery, A Charlie Montague Mystery: The Game’s a Foot, Try the Fish. The first man in space is back on Earth but can he handle all the Space Junk, retuning after 2018’s stunning success, Who Killed Franz Ferdinand, Slipshod Theatre present their new work, Space Junk: A Soviet Musical. Following their 2018 debut success, Greyhounds, Time & Again Theatre Company return with WW1 set drama, Clouds, the tale of Winifred Baxter, the first woman to enter an air race. Coming from their success at the 2017 All-England Theatre Festival semi-finals, Our Star Theatre Company presents their award-winning comedy, The Last Bread Pudding – a hilariously absurd bird’s eye view on an am-dram committee and their decision on what the group’s next play should be. Charles Pamment, Artistic Director of theSpaceUK said; “No other venue as the Fringe has a new-writing line-up as fantastic as theSpaceUK. We’re really proud to support companies both old and new who want to take a chance and present new work. The Fringe is all about doing something new, and we want to help both companies and audiences to take that chance.